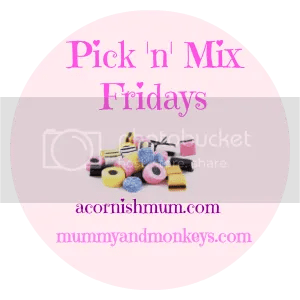 Hi and welcome to our second Pick ‘n’ Mix Fridays. A brand new blog link up with me and the lovely Stevie over at A Cornish Mum. We were both so pleased with all the posts that were linked up last week and enjoyed reading the mix. We welcome you to link your posts on any topic, the more variety the better. Our rules are simple and any questions please ask, we are both very nice! "We are #weaningwarriors with Vital Baby – 5 Top Tips for weaning"
"10 Top Tips – How to survive your first day back from maternity leave"
Loving the blog been catching up on it over the last few days.